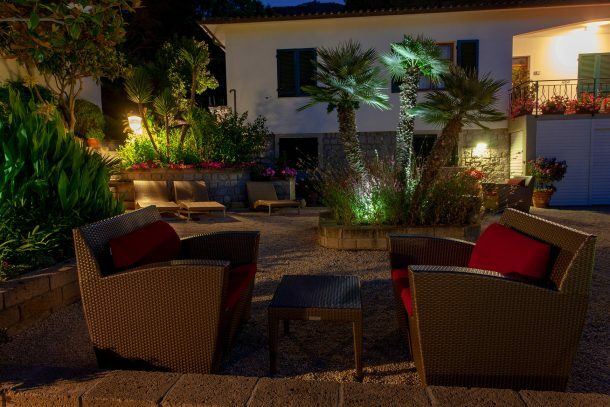 The Boutique Hotel Ilio has two gardens, the romantic and elegant Idillium Garden and the vineyard, Vigneto di Ilio, which is less formal and has a wide variety of endemic species. 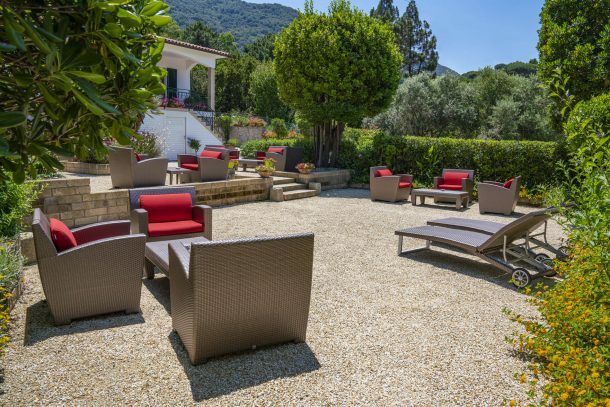 Two different natural settings, each equipped with comfortable loungers and furniture, ideal for a relaxing break after the beach. 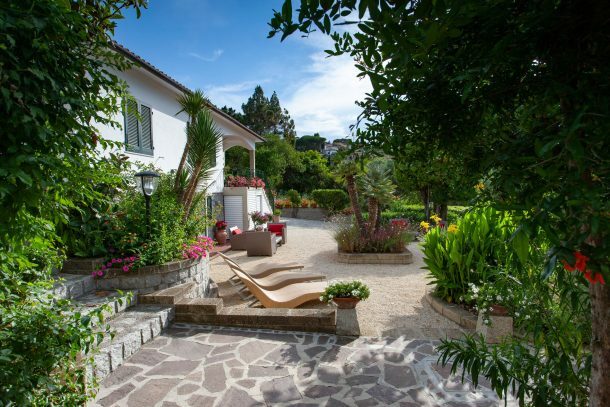 Near the main building, the Idillium Garden is the main garden, elegant and formal, harmonious in proportions and perfect in the choice of colour and type of plants; it is divided between two large terraces with a wealth of Mediterranean species, a veritable encounter with nature, where generous colourful blooms intertwine with the beauty of local trees. 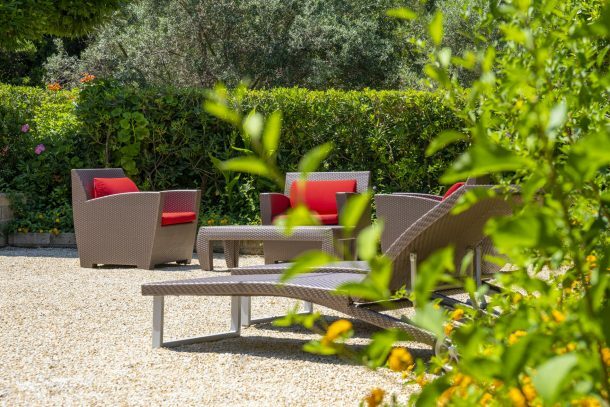 The atmosphere instills serenity and invites guests to enjoy a relaxing break in the shade of large lemon trees, persimmons, strawberry trees, apricots, pomegranates and delightful San Pietro palm trees; an explosion of colour, partly laid out in delightful tufa borders. 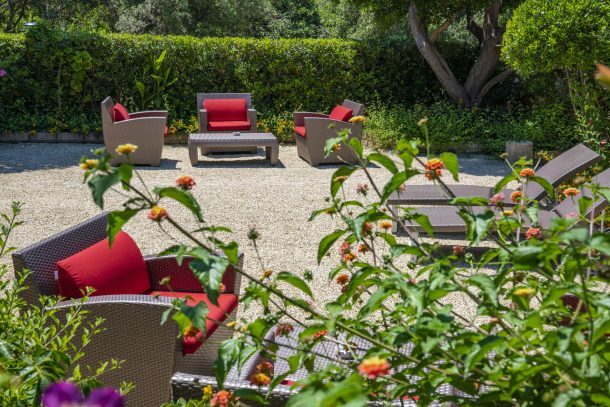 Modern outdoor lounges and comfortable titanium beds make this garden the ideal place to indulge in deep relaxation in the company of the melodious songs of nature; the hotel Wi-Fi, which is available throughout the property and up to the main beach, is available to guests. 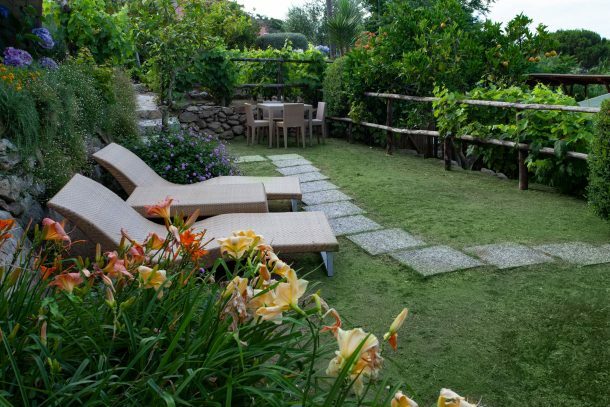 The Idillium Corner is part of this garden, a space dedicated to wellbeing where, by appointment, you can receive wonderfully relaxing massages, totally surrounded by nature. 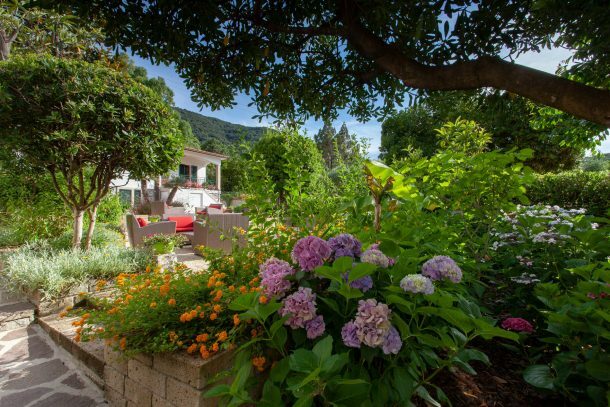 The property also includes a second garden where, for the past half century, the vine shoots of the former vineyard have been jealously guarded. 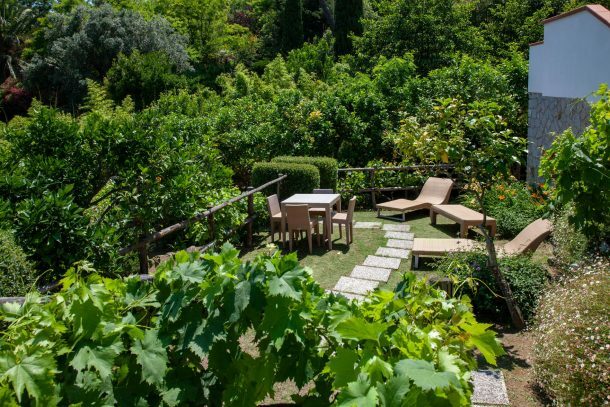 Shade is afforded by large trees full of juicy fruits that guests can freely pick and enjoy, including the typical lemons of Sant’Andrea, famous for their generous flesh and very thick and fruity zest. 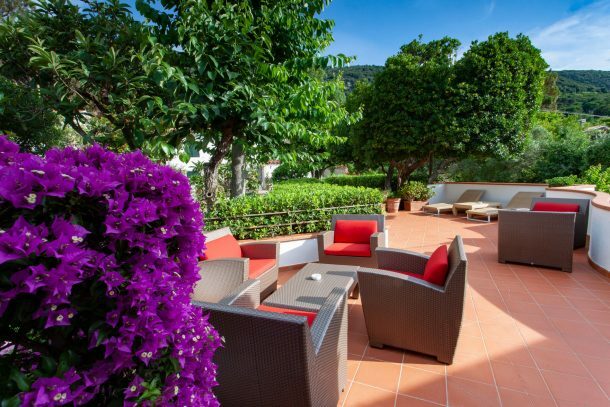 Every year the hotel uses them to prepare a very fragrant limoncino for guests to enjoy. 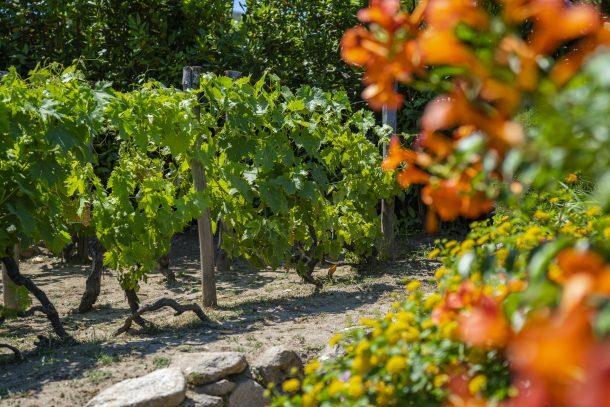 The Vineyard offers a sensory experience that combines the texture of the foliage and the scents of the citrus groves with the sounds and the view of the nearby sea. 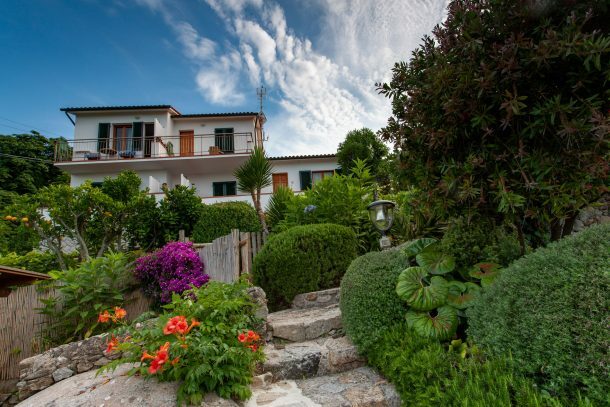 The croaking of frogs, the likeable guests of the stream that flows behind a curtain of bamboo, contributes to the natural connotation of this garden. 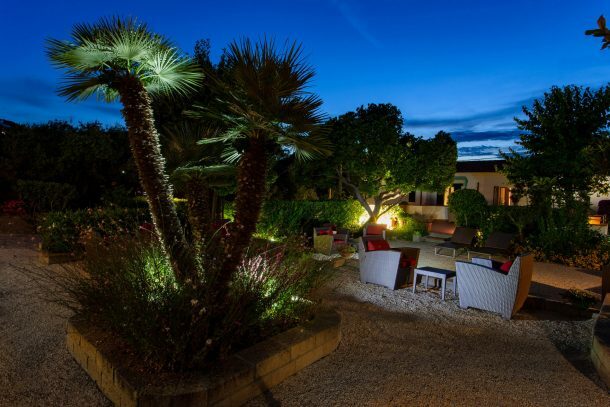 The show becomes especially enthralling on spring evenings when the golden flicker of the fireflies begins to sparkle, flooding the property of the Boutique Hotel Ilio with bright lights.